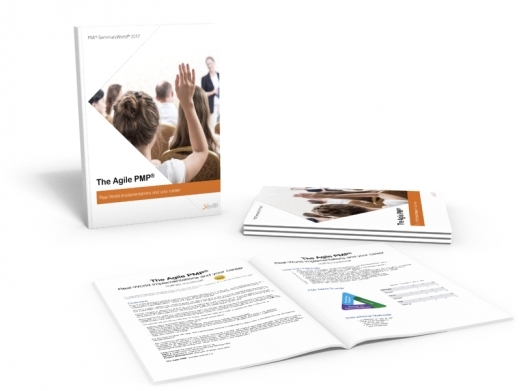 XoJom - Agility that works. ©2008-2015 XoJom Group Inc. All rights reserved. PMP, PMBOK Guide, SeminarsWorld, PMI and the PMI logo are registered marks of the Project Management Institute, Inc.
PMI SeminarsWorld is mentioned only as reference to public programs on which the corporate programs (focus of this brochure) are mentioned as reference only. In no way are we implying that PMI or PMI SeminarsWorld may endorse or promote portions of our programs under THE AGILE PMP mark. All rights including copyrights remain property of XoJom. XoJom is no longer participating in the PMI R.E.P program and discontinued this membership in 08/2015. SAFe is a registered mark by Scaled Agile Framework Inc. XoJom Group is not an authorized SAFe training provider and information about SAFe will only be provided for overview purposes. DSDM and DSDM AgilePgM is a registered mark by the DSDM Consortium. XoJom Group is not an authorized DSDM training provider and information about DSDM will only be provided for overview purposes. Scrum and Scrum@Scale is not a registered mark but is used in a framework context by the Scrum Alliance and scrum.org. XoJom Group is not a Scrum R.E.P and information about Scrum will only be provided for overview purposes. 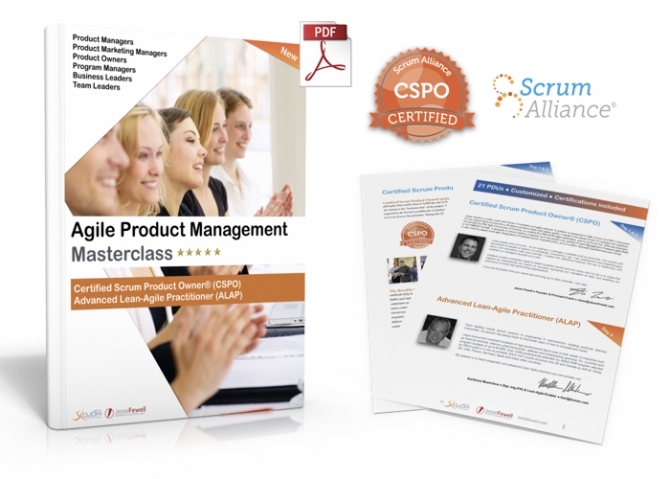 XoJom Group might, on occasion, partner with CST (Certified Scrum Trainers) for programs OUTSIDE of the scope of this brochure. 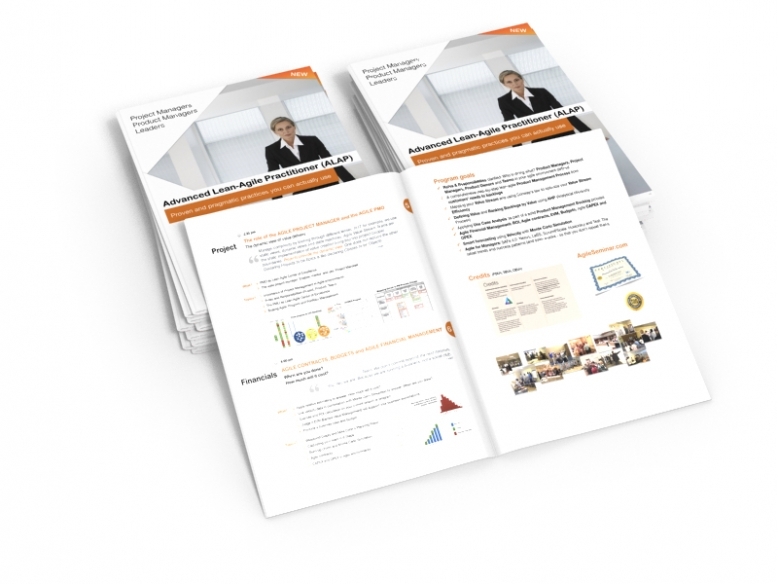 Programs mentioned in this brochure are NOT presented by CSTs. The term Nexus is used for a scalable framework developed by scrum.org. At the time of publication of this material, Nexus was not registered as a protected mark. Please visit scrum.org for updates on this new framework. This materials is provided AS IS with NO WARRANTY OF ANY KIND, INCLUDING THE WARRANTY OF DESIGN, MERCHANTABILITY, AND FITNESS FOR A PARTICULAR PURPOSE. All other trademarks, servicemarks, registered trademarks, and registered servicemarks in this material are the property of their respective owners. In case of any questions or concerns regarding the content of this brochure, please contact XoJom Group Inc directly.